Mostly white and green, but I also found gray and turquoise. There were so many that I could be picky and take only the best, frosted, well-rounded pieces. 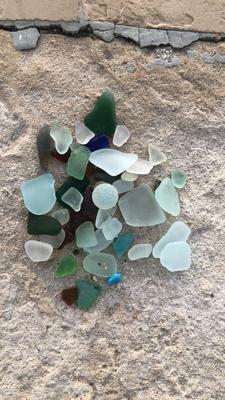 I saw several blue pieces, but they weren’t ready, so I threw them back into the ocean. And I found a marble!